Oh, and you're probably wondering what I sang for karaoke? None other than, "Touch Myself" by the Divinyls. I made these beauties this weekend! I got the idea from 2 sources. I don't remember where but I had seen these once online and a person did them with tortillas rather than phyllo. I could still do them with ezekiel wraps or sprouted grain tortillas, but I wanted to try the phyllo dough. I got the phyllo dough idea from none other than DAMY Health. 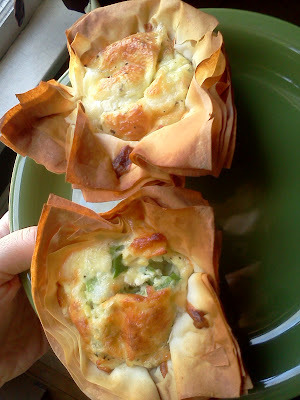 They have some great recipes with phyllo dough so you should go on the blog and check them out! This was my phyllo dough quiche! Phyllo dough: purchased at Lund's (you usually find this in the freezer section). I cut the phyllo dough into squares and spread some light olive oil on each sheet. I used 5 sheets per quiche. I placed the stack of 5 into a lightly oiled muffin pan to make the cup shape. 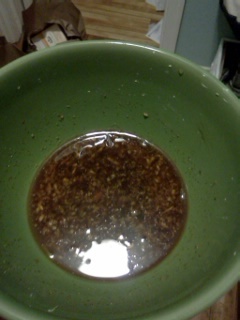 I mixed 4 egg whites, salt, pepper, diced peppers and onion. I divided this mixture between the 2 phyllo dough cups. On top, I sprinkled a small amount of mozzarella cheese. Bake in the oven at 350 degrees for about 30 mins (depending on your oven) and voila! 2 mini-quiches for brunch! YUM! Hope you all have a spectacular middle of the week! Ah, yes. "How many calories are in that?" A question that, it seems lately, I have been getting a lot. I don't know why this question is being brought up so much as of recent, however, I do know that my response will continue to be the same. "I don't know," as I continue cramming my mouth full of food. This question is posed to me by people in the gym, sometimes friends and probably whoever happens to see me shoveling food into my face throughout the day. And the truth is, I really don't know. Quite honestly, I really don't care. Don't get me wrong, I completely understand the whole mathematical equation. Calories in - Calories out (burned) = Weight Gain or Loss (dependent upon the outcome of that equation). However, the beauty of my current lifestyle and my dedication to the DAMY Health program is that I don't have to count calories, points, fat, carbs...thank the Lord! Because I don't want to! The other evening at the gym, I hopped on an elliptical machine next to an acquaintance at the gym. She said that she had noticed me with my DAMY Health printouts and asked where I got them, what I do, etc. We continued to have a long discussion about health and diet and she would bring up calories and this and that. I tried to tell her that I don't worry about that but amazingly enough for me (if you knew me, you would know this is pretty amazing) I could hardly get a word in!! All this recent questioning about the matter of calories lately has given me the opportunity to reflect about the situation of diet in our country (and I'm sure many countries around the world). It really is difficult and frustrating for me to see people who spend so much more time counting the contents of calories, carbs, fat and so on in their food, rather than just enjoying really good and healthy food. I feel like the act of calorie counting itself can be come quite an unhealthy obsession. Obsession? Not at all! Hmmm. I don't make these comments as any type of judgement towards any people that may count calories or points, but I say this based on personal past experience. I was once a calorie and point counter. I had tried so many different methods to control my weight growing up. I felt like the counting did become an obsession. It seemed to make eating a painful experience rather than a pleasurable and healthy one. 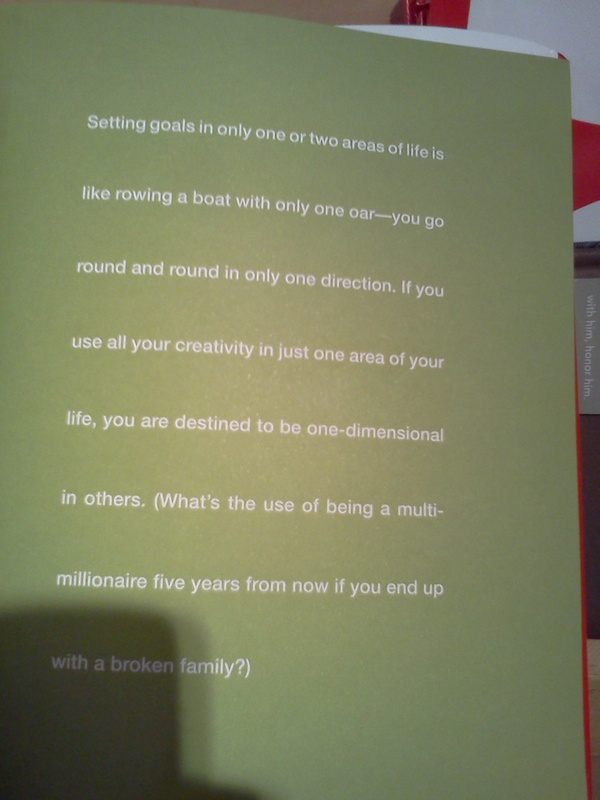 I thought about points all the time and mostly, I thought about eating all the time. I was one hungry point counter! Not only that, but I would go as far as to say that at different periods of my life I was exercise anorexic. Eating very minimal amounts of food and exercising myself like crazy to lose large quantities of weight in short periods of time. It never lasted, I would inevitably gain it all back and more. How can you really spend that long doing that to your body, before your body really demands what it wants? Perhaps some of you are reading this and thinking that I am a hypocrite, because I have to be measuring what I eat to some degree to maintain a fit physique. To some extent, you are right. Just as everyone else, I do have to watch portions. You can't go eat a whole cake and expect to be fit and trim. I do have to watch the types of food that I am putting in my body at certain times of the day as well. However, I can eye up the size my meat should be by my palm. I can make a pretty accurate estimate of the amount of carb needed on my plate and of course, I will happily load up on heaps of veggies and some fruits. Of course these things need to be quantified, however I don't feel obsessed over them. I don't feel deprived. Eating can be enjoyable and I can constantly feed my body the right food - all day long - and remain fit. What I really wanted to say with this post is that I find it frustrating and saddening that people feel they have to be trapped by food counting - as I once did. Even worse, that our media puts these types of diets on display and aids in making them fads. I also write to say this: If you are trapped in food counting and you loathe it, I challenge you to try DAMY Health. If you are calorie counting and at a plateau or realize that the food counting isn't getting you the results you want or your always hungry and tired of being obsessed with counting, try DAMY Health. Yes, it will feel backwards. But you will see that you CAN eat a lot of food and get the fitness results you want. I am living proof! See?? Please, if you are ready to treat your body the way it deserves to be treated, give DAMY a whirl. Your body, in turn, will thank you. Over the last few months, I've been keeping up with my goals and that includes having to use various different methods and tools to keep me moving forward every day with these goals. 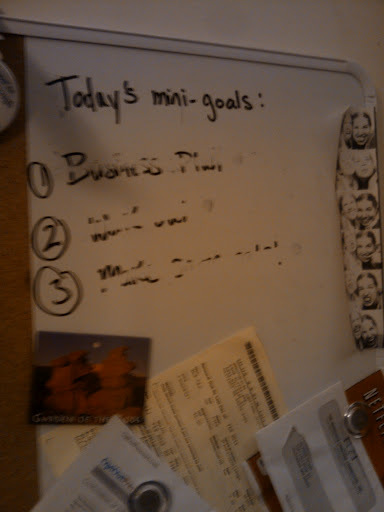 The big goals of mine are only accomplished with continuous tiny steps towards them. You don't just say, "I'm going to build a business," and then BOOM the next day it's done. Nope. We all know it takes a lot of work, baby steps, every day to get to the goal - as is anything in life. Soon though, my mini-goals became a bit too overwhelming for my white board and you can't carry that many pieces of paper along with you all day. Plus, you are using too many trees! I came across a post that was written by someone with an AWESOME blog, the Awesome Life Coach. He did this post on a review of an app called Wunderlist. See the post HERE. I read the post and researched some on this app and decided that I would give it a whirl. I have to say that I have really enjoyed this app and it is so nice to have my goals prioritized and categorized. You can see that I have many categories for various areas of my life; business, blog, personal, long term, fitness, etc. There is also a list for immediate goals. I make my goals for each day on this page and check them off as I go. The completed tasks will be checked off. One thing that I cannot picture here that I love most about this program is that you are able to collaborate with others and share your lists. If you are working on goals or projects with people, you can both add to the list and check items off. The other thing that I thought that this was useful for is accountability. My friend, Mary, met with me one day and we played around with the app together. She was able to see my list and what I had to do. The only negative aspect about this was that it didn't show her when I crossed something off of my list, rather the item just disappeared. I thought that this could be a great feature that could be added to this app. That way, your accountability partner can cheer you on! :) I think having people to cheer you on in your life is a great push! I'm thankful for the people that cheer me on! If any of you are able, I recommend that you give this app a try. It has worked "Wunders" for me! ;) You can also download the app on your phone and sync your phone and computer. It is compatible with Apple, Androids and PCs. As for me, I still don't have a compatibility partner for my Wunderlist. Maybe my friend, The Awesome Life Coach, would like to give it a whirl with me?? What do you think Life Coach?? Two goal getters keeping each other accountable? Are you up for the challenge? How about the rest of you? Who keeps you accountable and how do you measure your progress? Back for another Wednesday post! 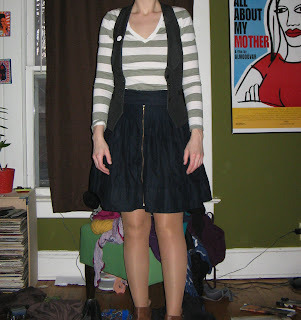 I put this outfit together last week! Have been saving it up for you all! I've been needing some new flavors, as I earlier mentioned, so I've been working on trying some new spices and marinades with my chicken and vegetables. I found this Ginger Honey Chicken recipe last week on the Livestrong website. I really liked this combination and it was tasty and a nice change! The only things that I changed in this recipe was that I didn't have a hot sauce so I used cayenne pepper instead. This was really tasty and I nice way to mix things up a bit. I hope you all had a wonderful Wednesday as always. This week is one of those weeks that I can feel that big life changes are on the way, for better or for worse. I am living one day at a time and all I know, for better or for worse, everything happens for a reason. I thought, because of these changes going on in my life, that this was an appropriate small post to remind us all - things do happen for reasons - bad things, good things, emotional things, happy things, sad things - they are a significant and unique to each of us. No matter good or bad, there is one thing that I am certain of...I choose to embrace them. I've had this post sitting in my saved posts and the week just FLEW by so I didn't even get it posted! But here it is! 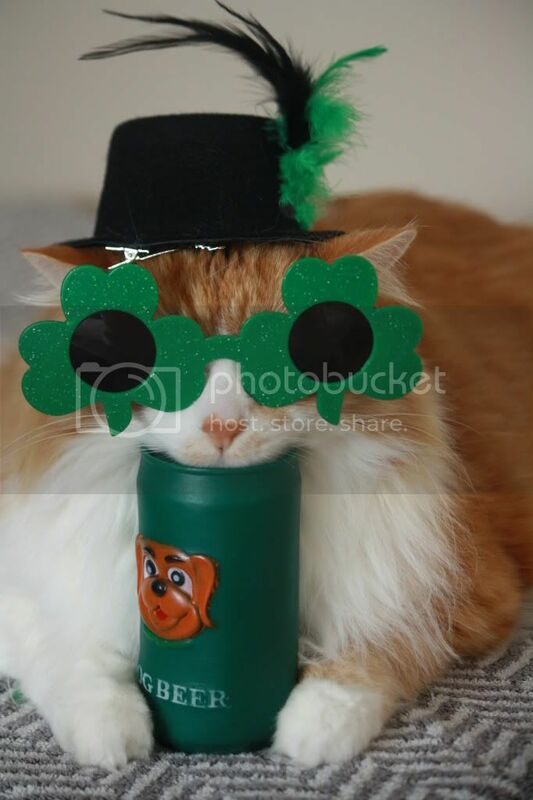 It works out this way as the food is GREEN in the spirit of St. Patrick's Day! I put this outfit together for the warmer days this week at work! I've run into one problem for the spring/summer. I have NO light colore/fabric pants to wear. I will have to make some exchanges at the thrift store and try and get some new pants. I do have plenty of skirts and dresses to get through the summer though which is nice! I put this one together quickly before work - albeit with dark pants. I did get compliments at work though! As I mentioned earlier this week, I wanted to share a new tofu recipe with you all that I tried this week. As I'm needing some new flavors, I thought it could be fun to mix in some new proteins. I've never been a huge fan of tofu, but I'm always willing to give things another try! I made this Apple Smoothie and it had a nice flavor, but I was unsure about the texture. After talking with my friend who used to be vegetarian, she informed me that the reason it was gritty was that I needed to get the "Silken" tofu. I had bought the extra firm! Duly noted and I'm willing to give it another whirl sometime soon! I found this recipe on the lovely site, called The Gracious Pantry. It focuses on clean eating recipes. Some of the recipes I am able to alter to make them even more clean. Unfortunately, I didn't get a picture of this the day I made it! However, I assure you all that it IS green for St. Patty's! I'm off for the evening! Time for some relaxing at home! Happy St. Patrick's Day to all of my fellow Irishmen and women! RE-dedication. That is my theme for this week. Not only with what I'm going to continue to write about, but also with my business and moving forward with that. I have to be honest with you all and with myself. Recently, my clean diet has been slipping. Small unclean foods have been working their way into the everyday diet. A little here, a little there, no problem, right? Wrong. Over the short time that these foods have been inching their way back in, I notice small changes. 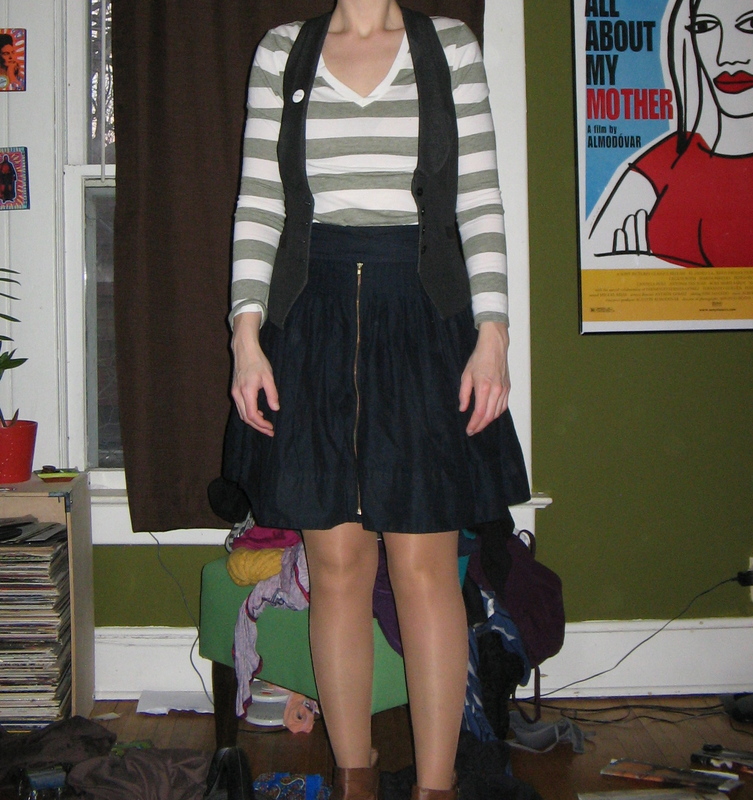 Less muscle tone, a little tighter pants and definitely an overall icky feeling. I've decided that this week, it's time to RE-dedicate myself. No more unclean foods slipping into the diet during the week. Letting a treat be an actual TREAT! You can't have a REAL treat if other treats are happening throughout the week after all. I am only human and these things happen. It doesn't mean that I have to dwell on these negative events and can't turn it around. In fact, I can choose to do that at any moment, any day. I choose now and I've been sticking to it! I armed myself with an aresenal of clean treats, spending my Sunday afternoon cooking away. I was also thinking what caused these events. Of course, part of the answer is that it's lack of willpower and MY own personal choices. I made these bad food choices and that is something that I accept. The other thing that I think has taken part of it is that I feel like I am bored. I feel like I have been eating the same foods over and over, the same flavors, etc. I've researched some new recipes this week so that I can try them out and keep myself interested! New meals should spice things up a bit! I even had a tofu smoothie this morning!!! Wait for it on my Wednesday post! I am making a conscious decision to turn it around this week. No excuses, no moments of weakness. Mind is stronger than the tummy! RE-dedication, begin! When you are not achieving the success you would like to achieve in one area of your life, how have you revamped your situation to make sure you stay on a continued successful path? Miss Kyla Gagnon, a trainer in Canada who I happened upon on Facebook (you should like her page, she posts some really great fitness videos and is also a follower of DAMY Health's page as well and makes DAMY's treats too!! ), posted this really interesting video this past week on FB. I took a look and I found it to be such and inspirational video and so true! Before you read on, please take a look at this video below. This video really made me contemplate about the "lollipop" moments in my life and if I've thanked the people who have given me these gifts. It also made me reflect on my own potential to be a leader, inspire others and be able to provide lollipop moments to others, via my blog and in real life. I will start with one lollipop moment of my own, someone who I have not told that what they said, something so simple, made an impact on me. Frequently, when I think about quitting, or wonder where the heck I'm going or what I'm doing, I think back to this moment and I know that I must trudge forward with my goals and missions. I know that I mentioned to all of you that in my former job, I was not a happy person. To me, it was not a pleasant environment and I felt constant stress. Fortunately, despite having less than desirable employers, I did have some awesome coworkers, many of whom I'm still in contact with today. One of those coworkers was a guy named Nate. Nate, (along with most of my other coworkers), knew that I was pretty miserable working there. He also knew, and I spoke with him regularly, about my resignation. I wanted to pursue my business and some days the stress there was just too much. One day, in talking with Nate about this, he said to me, "If you quit, don't look back. Don't look back and regret your decision." It was nothing astounding or highly philisophical, it was a simple urging to move forward and not look back at the past. However, unbeknownst to Nate, that small sentence made a huge impact on my life. Any moment that I ever even question my decisions to pursue my business, when it gets difficult, when I feel overwhelmed, when I am not really 100% SURE of myself, I think back to that moment and remind myself to keep marching forward, continue to give my best effort and to never look back. So to Nate: If I never told you this before, thank you. Thank you for giving me a lollipop moment and for being an everyday leader. To further touch on this topic, this video serves as a reminder to me (and I hope to everyone else) that we are all leaders. That we all have a huge human capacity to affect one another - a God given capacity. I frequently think about my blog and my everyday actions, I hope that I have been able to give a lollipop moment to another individual. Have I lit a spark that created a burning desire in someone's life? Have I been the constant reminder to push forward? Have I simply put out enough of my own energy for people to feed off of it? Or has just a simple hello or action that I didn't even think was great, made a difference? I am frequently reminded, that my actions can have a chain effect and that what I put out there is important. It's important for me as a granddaughter, a daughter, a sister, an aunt, a friend, as a human being. I agree with Drew Dudley that we are all inspirations to one another. We don't have to be the Dali Lama, Mother Theresa or the President. We just need to be our human selves. With this I say, live every day that you are granted with heart. You never know, to somebody else, you may be their everyday leader and everyday hero. Have you thanked anyone in your life for giving you a lollipop moment? What is your lollipop moment? Who is your everyday leader?